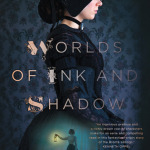 This is another book that had me a little skeptical from the description: a fictionalized account of the Brontë siblings as teenagers how they are able to cross over into the worlds their writing creates. Strike one: I haven’t read anything by the Brontës and 19th century romance as a genre leaves me cold. Strike two: throwing fantasy elements into historical fiction rubs me the wrong way. I love magical realism, I love fantasy, and I love historical fiction, but setting a story in a historical context with historical figures as main characters but with a fantasy/magical realism plot is just… I don’t know, it feels disingenuous, if that makes sense. At its worst, it robs historical figures of their autonomy and the abilities that made them noteworthy in the first place, e.g., “Mozart was brilliant because a fairy sprinkled him with pixie dust!” At its best, it begs the question of its own existence—Why do these historical figured need to be in this fantastical story? Why do these fantastical elements need to be in a work of historical fiction? Why not do a straight-up magical alternative reality thing, along the lines of Jonathan Strange & Mr Norrell? 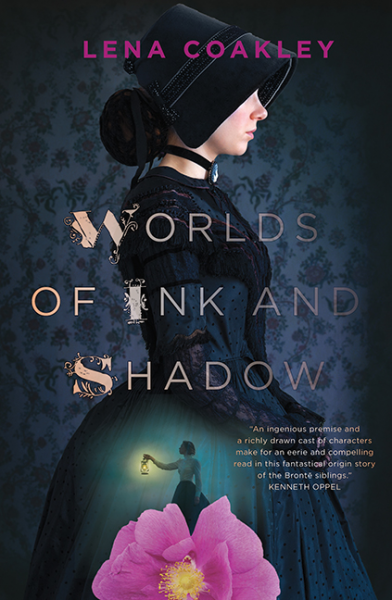 A book like Worlds of Ink and Shadow–in which the Brontë siblings literally make deals with an actual devil figure in an otherwise mundane England that seems completely of our reality–feels like it’s trying to be two things at once. I had a lot of these questions and concerns as I was reading. I would have enjoyed the fantasy elements a lot more if the characters had been fictional, instead of researched historical figures. A book about siblings whose fictional worlds become real, and are able to physical access those worlds due to a sinister bargain? That sounds amazing—story/world/book jumping stories are awesome. I read one recently (Story Thieves), and it was a ton of fun. Conversely, I would have really enjoyed a book exploring the relationships between the Brontë siblings and the tensions between their social status and expected behavior and their subject matter, or between the siblings themselves, since they were all writers/artists and close in age. Once I started pretending that the siblings aren’t actually the Brontës, but characters with the exact same names loosely based on them, I enjoyed the book a lot more, but it’s actually the latter aspect of the book–the sibling relationships–that bumps up the rating for me. The characters are fully drawn, so much so that I really love Charlotte Brontë now and am considering reading Jane Eyre. Emily is such a weird little character, and I enjoyed reading about a girl who so outwardly revels in the opposite of what she is supposed to. As one of four siblings (three girls and a boy, just like the Brontës—why has nobody made that comparison before? ), the sibling dynamics and pairing offs felt vivid and natural to me, especially Charlotte and Branwell’s relationship. The book does a great job of exploring the concept of sacrifice and perception–there’s a lot that Branwell has or missed out on that Charlotte views as benefits, which Branwell sees as burdens, and Emily and Anne view their siblings’ protection as selfishness–and the fact that those themes are evident in the magical parts of the story keeps the book feeling more unified than it might feel otherwise. This is another OwlCrate book (good job, OwlCrate, for expanding my horizons), and I’ll definitely add it to my classroom library. It’s got a great sense of setting, the themes are extremely relatable for sixth graders, and I have a lot of fantasy lovers who would be into it. I think finding out that the characters are real–and have written famous books–would be a fun surprise for my students, and it would be really great if the book could make even a few of them curious about the Brontës’ works. Personally, I feel very mixed about the book’s concept, but it’s well written, I overall enjoyed it, and it’s perfect for sixth graders. Annoyingly, there’s no AR quiz, but it came out this month so I’m hoping it’s just a matter of time. Few things are more frustrating as an ELA teacher than books your students will love that don’t have AR quizzes.